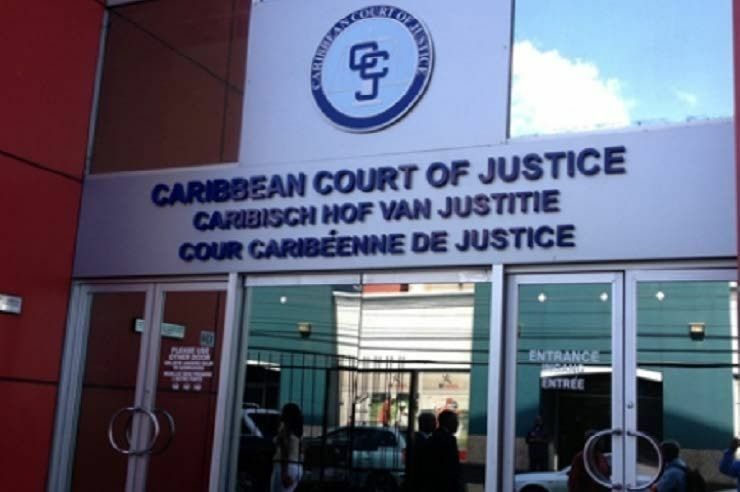 THE Caribbean Court of Justice (CCJ) in Port of Spain has ruled that a Belizean Court of Appeal judge should be considered for investigation. The ruling was delivered on Tuesday in the case of Dean Boyce, British Caribbean Bank Limited, and Lord Michael Ashcroft KCMG v the Judicial and Legal Services Commission (JLSC). 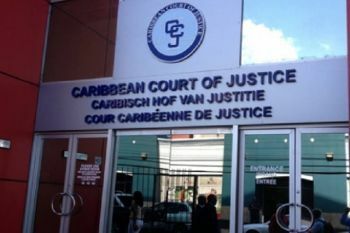 In its ruling, the CCJ said the 2012 complaint against Justice Samuel Awich, now a judge in the Court of Appeal, should be properly considered by the JLSC. The ruling paves the way for the Commission to refer the complaint to the Belize Advisory Council, which would then investigate whether the judge should be removed from office. The matter arose from a dispute on the alleged conduct of Justice Awich during his tenure as a judge of the Supreme Court of Belize and whether it is relevant to his removal from office as a Justice of Appeal. He was appointed as a judge in the Court of Appeal on April 24, 2012, and was sworn in in May of that year. In a joint letter dated July 17, 2012, Boyce, British Caribbean Bank and Lord Ashcroft requested of the JLSC for Awich to be investigated by the Belize Advisory Council. The request detailed allegations of lack of judicial ‘acumen’, delays in judgment writing and lack of timeliness in the delivery of judgments whilst Awich was a Judge of the Supreme Court. It was suggested that it should be considered whether the judge should be removed from office for inability and/or misbehaviour. Objections to his appointment had previously been raised by the Bar Association of Belize and the Leader of the Opposition. The JLSC refused the request on the basis that the complaint was directed to matters relating to the performance of the judge in his previous position of Justice of the Supreme Court and therefore had no relation to his present office of Justice of Appeal. The decision of the Commission was successfully appealed at the Supreme Court of Belize but the Court of Appeal subsequently set aside the decision of the trial judge. That court held that the complaints against Awich as a Supreme Court judge were not relevant to any consideration of his removal from office as a Justice of Appeal. The matter then moved to the CCJ where Section 102 of the Constitution of Belize, which provides for the removal from office of a Justice of Appeal for misbehaviour and/or inability, was considered by the court. The judges held that the section was clear that the JLSC’s role was strictly to consider whether the complaints were serious and, if so, to refer them to the Belize Advisory Council, whose role was to investigate the matter and to advise the Governor-General whether the judge should be removed. The CCJ said that a judicial officer’s past conduct, depending on the circumstances, could bear relevance on the question of whether removal from office was warranted. The JLSC was therefore bound to determine whether the complaint was grave enough to warrant referral and the JLSC ought not to have dismissed the request without proper consideration, the judges ruled. They also provided guidance on the issue of what constitutes ‘inability’ and ‘misbehaviour’. According to their judgment the term inability referred to the lack of capacity to perform the duties of the office at the requisite level of competence and skill. They held that a judge who was unable to write and deliver judgments on time or who was often overturned on appeal may lack the ability to do his job. The CCJ noted that a judge may be unable to perform the functions of the office at one level of the judiciary but be perfectly capable of performing the functions at another level. Misbehaviour would mean a judge has serious character flaws that would render him or her unfit to hold office, the court ruled.